The global market for blood warmer devices/sample warmers has witness steady expansion in the recent years and continues to expand at a promising pace. The market has benefitted massively from the vast rise in the number of surgeries taking place globally, the rising number of road accidents and thus the rise in trauma cases, and the increased need for blood transfusion in surgeries. The vast rise in people suffering from hypothermia and similar conditions is also acting as a growth driver for the global blood warmer devices/sample warmers market. These factors are expected to continue to drive the market in the next few years as well. While the market presently earns a large share of its overall revenue from sales across developed economies in regions such as North America and Europe, the market is also steadily expanding in emerging economies in regions such as Asia Pacific and Latin America. 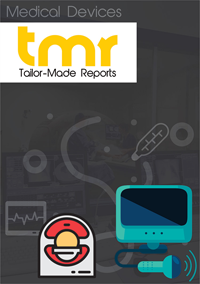 Government interventions in terms of reformatory measures aimed at the development of technologically advanced healthcare infrastructure in these regions is a key factor working in favor of the blood warmer devices/sample warmers market. The rising disposable incomes and rising numbers of surgeries in these regions are also aiding the growth of the market. In Asia Pacific, especially, the thriving medical tourism industry is providing a massive boost to the overall development of the blood warmer devices/sample warmers market. The significant advancements seen in industries such as blood storage and rising number of patients requiring blood transfusions are also working favorably for the blood warmer devices/sample warmer market in the region. Over the next few years, the Asia Pacific market for blood warmer devices/sample warmers is expected to emerge as one of the key regional markets in terms of growth and revenue opportunities. Fluid warmer is a healthcare device which is utilized in hospitals and other healthcare centers to warm fluids, colloid, crystalloid, or blood product before being administered. The fluid is warmed to the body temperature to prevent hypothermia in surgical or physically traumatized patients. Hypothermia is an illness caused by various factors for example, exposure to cold temperature, health condition, physical trauma, age, and surgical conditions. Acute hypothermia results in amnesia, loss of fine motor skills, and confusion. Blood warmer devices help reducing the complications while blood transfusion. This is the major factor fueling the demand in sample warmer market within the forecast period. On the basis of sample type, the global blood warmer devices market is bifurcated into blood samples and other samples. Among those, the blood samples segment is anticipated to dominate the global market. Based on end user, the market is categorized into blood banks & transfusion centers, hospitals, and tissue banks. Out of these, the hospitals segment was calculated to hold the highest number of market share in year 2017. As per the product type, the segment comprise of surface warming system, intravenous warming system, and blood warming accessories. Surface warming system is foreseen to be highly adopted product in the global blood warmer devices market. Increase in number of people suffering from hypothermia, rise in number of surgeries, and increasing number of people suffering from trauma are some of the major factors fueling the demand for blood warmer devices market all over the world.. As per the report published in Hospital Episode Statistics (HES) and the Health and Social Care Information Centre, the detection rate of hypothermia in the UK has risen notably during 2005 to 2014. Hence, there has been a surge in demand for blood warmer devices/sample warmers within the duration of forthcoming years. Another factor contributing in the rising demand for blood warmer devices is rise in demand for blood warming products, all across the globe. The increase in number of blood transfusion cases and rising demand for blood in medical treatments are some more drivers propelling the growth of sample warmer devices market. On the basis of geography, the blood warmer devices market is segregated into Asia Pacific, Europe, North America, and Rest of the World (RoW). Among these, North America is likely to lead the global market in 2017. This is owing to the drivers for example growing cases of hypothermia, increasing volume of surgical processes, and the surging number of trauma cases of blood warmer devices/sample warmer products in the region. Healthcare industry is witnessing a lot of investment in various sectors, out of which blood warmer devices is one of the significant one. BD (US), 3M (US), The 37Company (Netherlands), Stryker (US), Geratherm Medical (Germany), Sarstedt (Germany), Stihler Electronic (Germany), Barkey (Germany), Belmont instrument (US), EMIT (US), and Biegler (Austria) are some of the key players dominating the blood warmer devices market. Several firms are working on coming up with more innovative and accurate results for these devices.